My kitchen window has been naked for the last few days. I have disassembled the Venetian blind and am in the process of washing the slats. I raised my eyes from the sink the other night to discover my neighbor was also naked – as people usually are in the shower. Detail was indistinct, but it was apparent which member of the family it was. An unsettling insight. Why is that? The house I live in is the mirror image of the one across the double drive and the bathroom windows on both are original, having never been upgraded. Fortunately, someone has stuck an opaque film over my top pane. Not so on the neighbor’s, although both have pebbled glass on the bottom. Shower before dark, I guess, and count your blessings that those people haven’t taken down their kitchen curtains. Naked windows happen to everyone who moves frequently. Sometimes I feel as if I hold a world’s record for that. 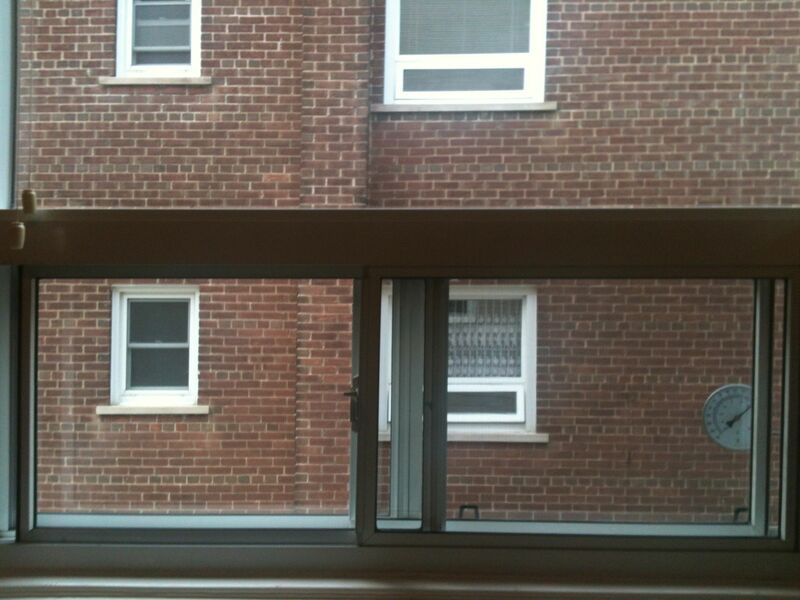 Inevitably, there is a house or an apartment where the previous people denuded the windows when they left. The last of the furniture gets carried in at dusk. The big truck drives away and, suddenly, you realize that you are on a lighted stage and the neighborhood is getting a good look at the new kid on the block. Finding sheets for the bed is already a challenge. Tacking one up over a window is downright daunting. You undress in the bathroom with a prayer of thanksgiving for the skylight. It is some time usually before you can tackle the window covering problem. It’s hard to say whether naked windows are worse in the summer when the sun wakes you up just after 5 or in the winter when you can’t avoid turning on the lights and turning the place back into a stage. My fallback position is to buy vinyl mini blinds, but that works only if your windows are standard size. It takes weeks more to get Sears to cut them to size for irregular windows although Ikea drapes are pretty instant. Most of them can be modified for a rod or a drapery track. Somewhere in that mass of unpacked boxes there are curtain hooks, but you can’t find them. That is why I have several hundred hooks of various shapes in the top of the broom closet. Don’t get me started on the agony of screwing the blinds onto the woodwork. It’s bad enough to make me settle for blinds only for the first few years because I can’t face putting up rods. Behind the duplex I live in, across the yard and a sunken parking lot, hidden behind trees is a four-story apartment building. For years, it was just there, doing no harm, except for Wednesdays when the garbage dumpster got hoisted onto the truck and the empty one deposited. Then one of the ash trees got ill and one summer morning a team of acrobatic tree-men arrived to put it out of its misery. I, for one, was happy to endure its slow demise, but liability laws dictated otherwise. After they had swanned about on high wires, amputating 18 inch lengths and lowering them down with much yelling of encouragement, they ran the whole thing through a chipper and drove off with the mulch. Silence fell, a silence that still resonated with tree death, as if the other trees were still shivering or timidly unfolding their arms. I stood in the silence looking out at the great hole in my world and saw…. that was no hole. That were eight tableaux. There was the crossing guard putting on her florescent vest. There was a thin chested man -with no shirt – looking at the internet. There was a room that Scheherazade would be comfortable living in. There was a mother showing her toddler the sparrow on the window ledge. There was the totally uncluttered home of a couple who dressed in the white robes of some religious outfit or other. I mean – tell yourself not to look. How is that possible? Every time you adjust the blinds or open a window, there they are- five or six different dramas playing out. The thin chested man never wears a shirt, at home anyway. Full disclosure here -I am a girl, if an old one, so this next bit is not as creepy as it could be. The most astonishing is the while-robed woman who runs up and down her hallway every morning passing through the living room and past both bedroom doors over and over again, wearing – red bikini pants and bra! Buz Lurhmann stole this idea from me for his recent Great Gatsby. The camera pulls back from Myrtle’s apartment in New York City. Tom Buchanan, whose mistress Myrtle is, Nick Carroway and other hangers-on are drinking bootlegged booze, listening to jazz and generally having a hell of a time. We see her fire escape landing where someone seems to be recovering or someone is playing a horn. (I can’t remember.) Then as the camera pulls back and back, we see more and more windows, all in high definition, all sporting men and women similarly whooping it up and just enjoying the jazz age. Did Tom really rent Myrtle a place in Harlem? That scene, which just grows and grows, was worth the $10 I paid for matinee admission. Really living where I do, I could cancel the cable and still be entertained.